(Reuters) – Iran will press ahead with its uranium enrichment program, its nuclear energy chief said on Friday, signaling no immediate change of course despite the victory of a relative moderate in the June 14 presidential election. But once Hassan Rouhani takes office in early August, Tehran’s current hardline team in nuclear talks with six world powers, led by Saeed Jalili who was a rival election candidate, is likely to be overhauled. Fereydoun Abbasi-Davani’s tenure as head of Iran’s atomic energy agency may be in jeopardy as well. Speaking in Russia, Abbasi-Davani said that production of nuclear fuel would „continue in line with our declared goals. The enrichment linked to fuel production will also not change“. Speaking through an interpreter to reporters at a nuclear energy conference in St Petersburg, he said work at Iran’s underground Fordow plant – which the West wants Iran to close – would also continue. Iran refines uranium at Fordow to a level that is relatively close to the threshold needed for atom bombs. Iran says it is enriching uranium only to fuel a planned network of nuclear power stations, and for medical purposes. But refined uranium also provides the fissile material for nuclear bombs if processed further, which the West fears may be Tehran’s ultimate goal given that Tehran has a history of hiding some nuclear activity from U.N. anti-proliferation inspectors. Abbasi-Davani said Iran’s only existing nuclear power plant – which has suffered repeated delays – had been „brought back online“ three days ago and was working at 1,000-megawatt capacity. A U.N. nuclear agency report said in May that the Russian-built Bushehr plant was shut down, giving no reason. „Thankfully in the last days, no concrete defects with the plant have been reported to me,“ Abbasi-Davani said. Hopes for a resolution to the nuclear dispute were boosted this month with the election as president of Rouhani, who has promised a more conciliatory approach to foreign relations than confrontational predecessor Mahmoud Ahmadinejad. As chief nuclear negotiator under reformist President Mohammed Khatami from 2003 to 2005, Rouhani struck a deal with European Union powers under which Iran temporarily suspended uranium enrichment-related activities. They were resumed after Ahmadinejad was elected in 2005 and have been sharply expanded. 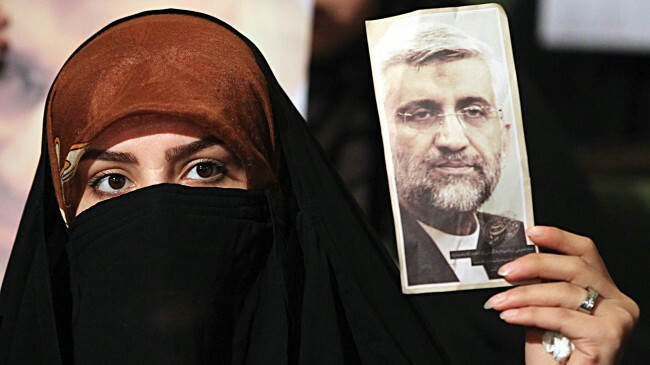 Jalili, the current chief negotiator, has espoused a „no compromises“ stance that was derided even by other conservatives in the election campaign for failing to yield any progress in talks, triggering ever more punishing sanctions against Iran. Asked whether there would be any change in Iranian policy after Rouhani’s election and whether it could suspend 20 percent enrichment, Abbasi-Davani said Iran’s nuclear program was aimed at producing electricity and medical isotopes only. Iran’s theocratic supreme leader, Ayatollah Ali Khamenei, said on Wednesday the nuclear stand-off could easily be resolved if the West were to stop being so stubborn. 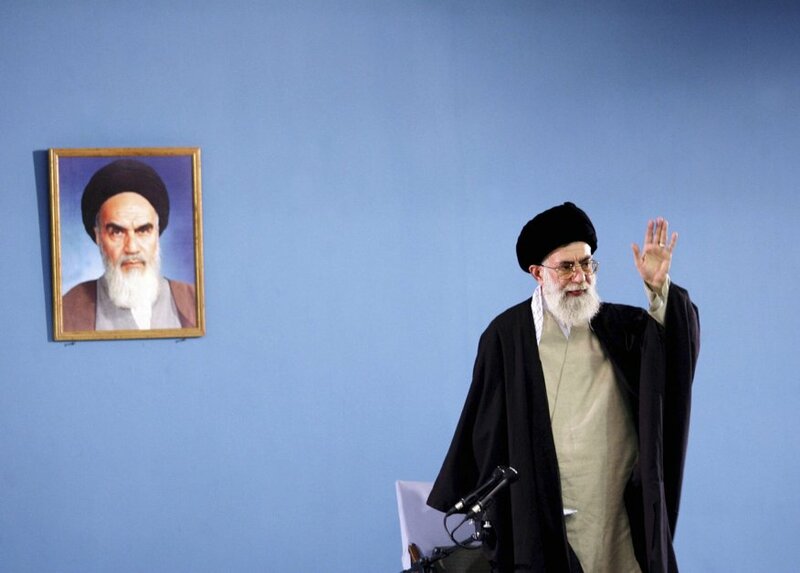 While accusing the West of being more interested in regime change than ending the dispute, Khamenei did express a desire to resolve an issue which has led to ever tighter and more damaging sanctions on Iran’s oil sector and the wider economy. But analysts say it remains uncertain whether Iran with Rohani as president will be more amenable to the demands of world powers that it halt its most sensitive enrichment, to a fissile concentration of 20 percent, and stop work at Fordow. The hardline Khamenei wields ultimate control over Iranian nuclear policy, although the president has important influence. Abbasi-Davani also said Iran would soon give to the Vienna-based IAEA a list of planned nuclear reactor sites. He spoke in front of a model of the Bushehr reactor at the Islamic state’s stand at the nuclear industry fair in St Petersburg. On Friday, June 14th, Iran held general elections. Mahmoud Ahmadinejad was excluded from running due to term limit restrictions. The people of Iran were pleased and hopeful that a reformer or moderate would replace him. The election produced a victor by the name of Hassan Rohani, who is considered a moderate cleric. He is the new president, but will he lead the same Iran? Mr. Kahlili believes that the west and the people of Iran are being led astray. He believes that Rohani was hand picked by the Supreme Leader, Ayatollah Ali Khamenei. After his victory, Rohani attributed his victory to the 12th Imam, Mahdi, a statement with ominous overtones in the Islamic regime’s quest for nuclear weapons. The Shiite ruled Theocracy believes that in the time of Armageddon, the 9th century Imam will appear to the masses with Jesus Christ, strike down the infidels, and raise the Islamic flag in the four corners of the earth. There is consensual belief in the scientific community that Iran is seeking nuclear capability to bring on that Armageddon. Kayhan, the newspaper of the regime, and its main source of information, reported Rohani’s statements. Mr. Kahlili believes that the west is being duped. An op-ed in the Los Angeles Times by David Horsey, for example, called Rohani’s election good for America and bad for the “neocons.” A piece in the Huffington Post by Flynt and Hillary Leverett, long-time supporters of dialogue with the Islamic regime, urged President Obama to approach Rohani as this represents a new opportunity, but the U.S. must accept the legitimacy of the Islamic Republic. 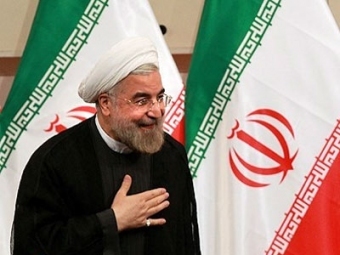 A third op-ed, in the Christian Science Monitor by Scott Peterson, called Rohani a “diplomat sheikh” and claimed that he has shown flexibility and a willingness to compromise when he served as the regime’s nuclear negotiator. An exclusive by WND reaffirmed that Rohani has been a major player in the theocratic regime of Khamenei. In 2003 he was put in charge of the nuclear program by Khamenei, and the president, Mohammad Khatami. Rohani agreed to suppress some of Iran’s nuclear effort to cease further sanctions by the U.N., but the program never stopped. Those who are privy to the inner workings of the Khamenei regime, predicted the outcome of the election weeks before the tally began. Iran elected a new president. Will he bring positive changes for the people of Iran, or will it be the same aggressive Iran under the guise of a new leader? RAN’S newly-elected president Hassan Rowhani has ruled out any halt to the nuclear activity that has drawn UN sanctions but hopes an early deal can be reached to allay the concerns of major powers. The moderate cleric, who won outright victory in Friday’s presidential election on the hopes of millions for an end to the economic hardship caused by Western sanctions, on Monday pledged greater transparency in the long-running talks. Rowhani, addressing his first media conference since winning the vote, said there would be no change in Iran’s longstanding alliance with Syrian President Bashar al-Assad that has been the source of additional Western concern. But he said he would seek to thaw relations with the key Gulf Arab backers of the rebels fighting to oust Assad’s regime for more than two years. Rowhani, who led the nuclear negotiating team under reformist former president Mohammad Khatami from 2003-5, said there could be no return to the moratorium on uranium enrichment that Iran accepted at the time. „This period is over,“ he said. When Rowhani stepped down, outgoing President Mahmoud Ahmadinejad resumed uranium enrichment, triggering successive UN security council ultimatums to suspend it, some of them backed up with sanctions. Iran has since massively expanded its facilities for the enrichment of uranium, extending the process to 20 per cent and raising the fears of regional foe Israel that the 90 per cent required for a warhead is but a step away. The 64-year-old Rowhani said that the EU and US sanctions against Iran’s oil and banking sectors that have sent the economy into freefall were unjust but promised transparent talks to try to resolve the underlying issues. Iran will be „more transparent to show that its activities fall within the framework of international rules,“ he said. Britain, one of the powers involved in the Iran nuclear talks, warned Rowhani that he should be in no doubt about the West’s resolve. Foreign Secretary William Hague told parliament he hoped Tehran would now „engage seriously“. „The government hopes that following Dr Rowhani’s election, the Iranian government will take up the opportunity of a new relationship with the international community by making every effort to reach a negotiated settlement on the nuclear issue,“ he said. On a visit to Iran’s western neighbour Iraq on Monday, the chief negotiator of the major powers, EU foreign policy chief Catherine Ashton, said she would take Rowhani up on his promise of more constructive engagement. Within days of Hasan Rowhani’s election as Iran’s president, the White House and several European governments were already ecstatic at the possibility of resuming negotiations over Tehran’s nuclear-weapons program. Before even more irrational exuberance breaks out over Rowhani’s pledge to make Iranian’s nuclear program more “transparent,” however, some history is in order. The catnip effect on Western diplomats of negotiating with Iran has never lost its allure. This is something which Hassan Rouhani understands as well or better than anyone. Rowhani’s long, uninterrupted devotion to Iran’s Islamic Revolution includes heading its National Security Council for sixteen years, and he was Tehran’s key nuclear negotiator in 2003-2005. Rowhani was central to Iran’s strategy of using protracted negotiations to buy time and legitimacy under diplomatic cover. Senior European diplomats first met with Rowhani on the nuclear issue in October. He said unequivocally that Iran was cooperating with International Atomic Energy Agency (“IAEA”) attempts to monitor Iran’s nuclear activities, which even the gullible EU-3 knew was untrue. Rowhani also promised Iran would sign an “Additional Protocol” to its existing IAEA Safeguards Agreement (thereby allowing enhanced IAEA inspections), which it did in December, 2003. But as recently as May 22, 2013, the IAEA Secretariat reported that, ten years later, Iran still has not brought the Protocol into force or begun implementing it. 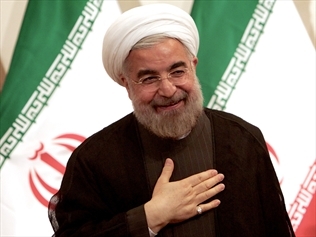 Rowhani was engaging in the regime’s propensity for empty propaganda, pure and simple. On the EU’s supposed precondition that Iran cease all enrichment-related activities, Rowhani seized on the chimera that would mesmerize the EU-3 for the next ten years, to this very day. He said Iran might consider “suspending” enrichment activities, but only if the West guaranteed a fuel supply for Iran’s nuclear reactors. This “promise” was easy for Iran to make, since the mullahs knew we could not effectively verify where all their uranium-enrichment facilities were, let alone judge whether Iran was upholding its side of the bargain. But as long as negotiations persisted, Iran could build out its nuclear infrastructure while the West blithely ignored the growing danger embodied in these expanding capabilities. And because Iran then had only one operating research reactor, its need for reactor fuel was (and still is) insignificant compared to the enrichment facilities under construction. The only logical explanation for the massive enrichment program was providing weapons-grade uranium for an extensive arsenal of warheads. When the EU-3 foreign ministers confirmed later in 2003 Iran’s agreement to “suspend” uranium enrichment, they were overjoyed. Iran continued the key elements of its weapons program, including assembling centrifuges, even though not actually spinning uranium gas in them (at least not that we knew of). Numerous EU-3 efforts over many months to tie Iran down failed, with Rowhani needling them at every turn. At one point, in March, 2004, Rowhani said publicly that “We told [the EU-3] that if you don’t fulfill your promise, everything will return to day one,” which is pretty much what happened. The “suspension” over which so much diplomatic effort was expended was essentially always an Iranian ruse. As we learned later, Iran was having difficulties with uranium conversion, the process by which uranium is changed chemically from a solid (U3O8) to a gas (UF6), which is then fed into centrifuge cascades for enrichment. Not much enrichment was possible without adequate feedstock, so the “suspension” of enrichment activities, which the EU-3 repeatedly but unsuccessfully, tried to make permanent, didn’t actually impair Iran’s program. Iran’s repeated statements about the “voluntarily suspension” of some (but not all) enrichment-related activities meant its program was proceeding based on Iran’s technical capabilities and problems, not according to the “agreement” with the EU-3. Rowhani deceived, mocked and disdained the West during his time as Iran’s top nuclear negotiator, while the Iranian nuclear-weapons program continued to progress. There is every reason to believe he will do exactly the same once inaugurated as Iran’s president. ADNAN OKTAR: Muqtada’s approach, his turn of phrase in that respect is very nice but in basis, this is not how things are handled. I mean all the scholars, all clerics should be embracing this approach and that can only be made possible with Hazrat Mahdi (pbuh). This cannot be made right without Hazrat Mahdi (pbuh). Hazrat Mahdi (pbuh) will rise like the sun; the Prophet Jesus Messiah (pbuh), Hazrat Mahdi (pbuh) will appear, that is because Almighty Allah created things in this order, this is how Allah creates. Some people say, “I will handle this somehow.” However this is how Allah created things and you cannot do anything else apart from that. Almighty Allah says; “His people argued with him.” I seek refuge with Allah from the satan. For instance, that is the same right now that they are arguing. “He said, ´Are you arguing with me about Allah when He has guided me?” That is because Allah has guided us to a certain path and defined how things will go. Almighty Allah says that the Prophet Jesus Messiah (pbuh) will come. He says that Hazrat Mahdi (pbuh) will appear. And that is it. The salvation will be with the Hazrat Mahdi (pbuh) and the Prophet Jesus Messiah (pbuh). Forces loyal to President Bashar Assad are massing around Aleppo in preparation for an offensive to retake the city and build on battlefield gains that have swung the momentum of Syria’s war to Assad and his Hezbollah allies. But in a worrying development for the rebels, Shlas said there were reports of militiamen loyal to Iraqi Shiite Cleric Moqtada al-Sadr streaming into Syria to bolster Assad’s forces. Jerusalem: Iran is working round the clock to enlarge its nuclear infrastructure with the eventual aim of developing an industry capable of building up to 30 bombs a year, an Israeli Minister charged on Tuesday. Speaking to reporters in Jerusalem, Intelligence Minister Yuval Steinitz said Tehran was „very close“ to crossing the red line laid out by Israeli Prime Minister Benjamin Netanyahu last year. But he said it was biding its time and building uranium-enrichment facilities before making the final push for weapons-grade material. „The Iranians are getting very close now to the red line… They have close to 200 kilos-190 kilos-of 20 per cent enriched uranium,“ Steinitz said. „Once they have 250 kilos, this is enough to make the final rush to 90 per cent,“ the level of enrichment required for a nuclear warhead, he said in a presentation to the Foreign Press Association. „It is a matter of weeks or maybe two months to jump from 20 per cent to 90 per cent with so many centrifuges,“ he said. Iran’s aim, he charged, was to build a nuclear arsenal, not just a single bomb. Tehran’s big fear was that a Western military strike could wipe out their nuclear facilities „within a few hours,“ he said. Israel and many Western governments suspect Iran is using its civilian nuclear programme as cover for developing a weapons capability, a charge denied by Tehran. But the Jewish state, the Middle East’s sole, if undeclared, nuclear power, has refused to rule out a pre-emptive military strike to prevent it. 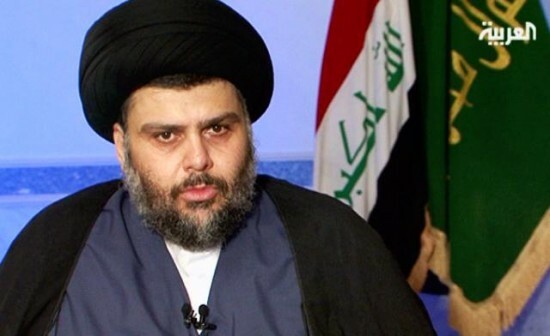 However a Baghdad official confirmed that deep divisions have erupted between the two Shi’ite leaders over Nasrallah’s continuing support for the Assad regime. 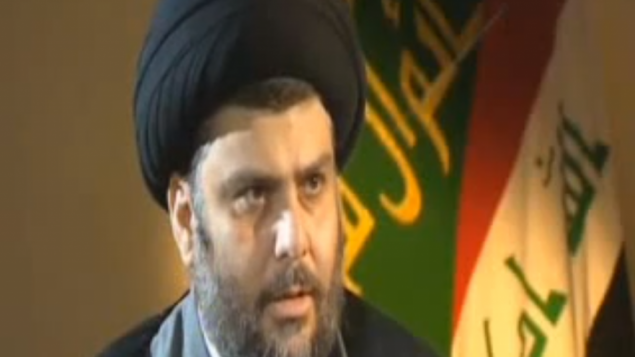 “You’re traitors,” Hezbollah leader Hassan Nasrallah was quoted as telling Muqtada al-Sadr, the Iraqi Shi’ite leader. 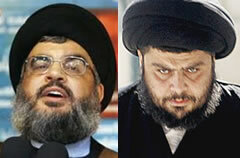 The accusation was the climax of the bitter dispute that developed between the two Shi’ite leaders after Sadr flatly refused Nasrallah’s request to send fighters to the battle in Syria. Iraqi commentators assert that Nasrallah is in distress. His forces, which number some 50,000 fighters, are not sufficient for fighting in the Syrian city of Al Qusayr − guarding positions they have already captured − and at the same time defending the organization’s bases in South Lebanon and protecting the southern neighborhood in Beirut ‏(a Hezbollah stronghold‏) as well as Lebanon’s Bekaa Valley region. “Those missions are too big for the organization to handle, which is the reason for calling on Sadr for assistance,” wrote a Lebanese commentator. At the same time, other pundits believe Nasrallah’s ambition is to establish a “Shi’ite army” composed of the fighters of the Iraqi Mahdi Army and his own forces, who would be under Nasrallah’s command and funded by Iran. Sadr’s refusal to help Nasrallah in Syria is also a slap in the face to the Iranian regime, especially after the Mahdi Army − which is commanded by Al Sadr and numbers about 60,000 fighters all over Iraq − was initially funded by Iran and received military training from Hezbollah members. Now, though, Sadr is involved in a political battle inside Iraq, in which he aspires to bring down Prime Minister Nouri al-Maliki ‏(an ally of Iran‏). In this he is supported by members of the Sunni minority, who are conducting a violent and determined struggle against the Iraqi government; that is also the reason for his refusal to help Hezbollah. By the way, that doesn’t mean there are no Mahdi Army fighters in Syria. According to Sadr, though, they are independent activists, or fighters who abandoned the Mahdi Army after Sadr decided to put a freeze on its military activities in Iraq. In the war for survival, Nasrallah finds himself in a narrow and suffocating trench. Criticism against him in Arab countries is deep and widespread. His political rivals in Lebanon opposed his dragging the country “to its destruction” due to his participation in another country’s war, according to Saad Hariri, the Sunni former Lebanese prime minister. Leading Shi’ite cleric Ali al-Amin called on Nasrallah to withdraw his forces from Syria in order to prevent a sectarian war in Lebanon.